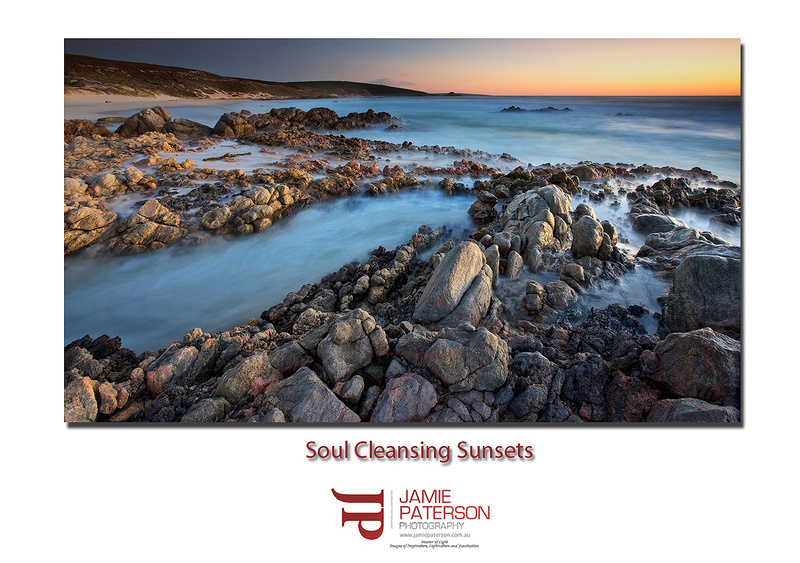 Why the title ‘Soul Cleansing Sunsets”? I guess because this was one of those spots that you just feel so connected with when you’re taking photos of it. There were no clouds when I set out but I wasn’t stressed about it. I just knew that I was going to find a really nice and secluded spot and just enjoy myself, and that is exactly what happened. I’m beginning to realise that the less you worry about the camera and the more you just enjoy the scenery and use the camera to record what is going on, the better your shots will be. I’ve seen so many landscape photographers who view the sunsets and sunrises through their viewfinders and then walk away without any recolection of what the scene actually looked like. That doesn’t sound like fun to me. The more I let my camera share my journey rather than letting my camera control me, the more I’m enjoying my photography and the results of my photography. How often do you shoot from the heart? Well that is about as deep as I get. 😉 I hope you all enjoy this photo. Last weekend I was lucky enough to slip down south under the cover of darkness. No it wasn’t a covert operation, its just easier driving down at night now with Xavier being a little older. I think we can all agree that its such a relaxing place to be and this weekend was certainly no exception. Christian of course put his usual ‘no cloud spell’ on me and made sure that the skies were crystal clear with only a hint of clouds. 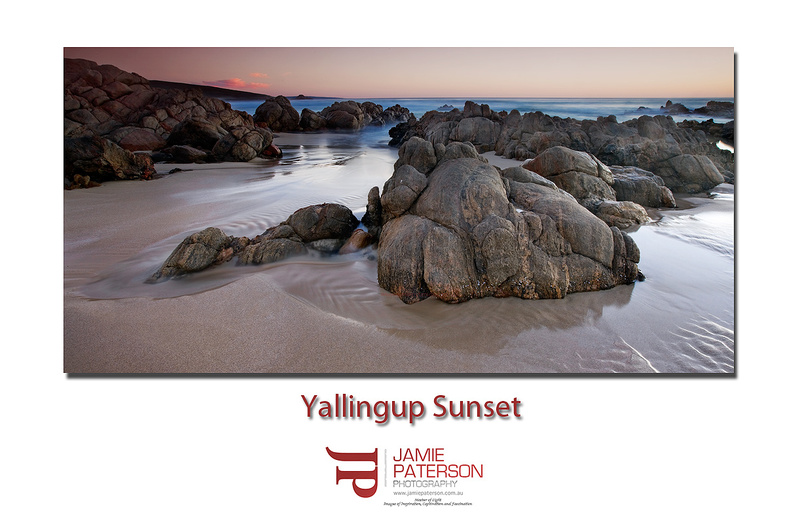 There is nothing like being at a place like Cape Naturaliste just watching the sun going down and feeling like you don’t have a care in the world. That feeling didn’t last long though, the ‘really easy’ decent onto the beach felt like it was Mt Everest on the way back. 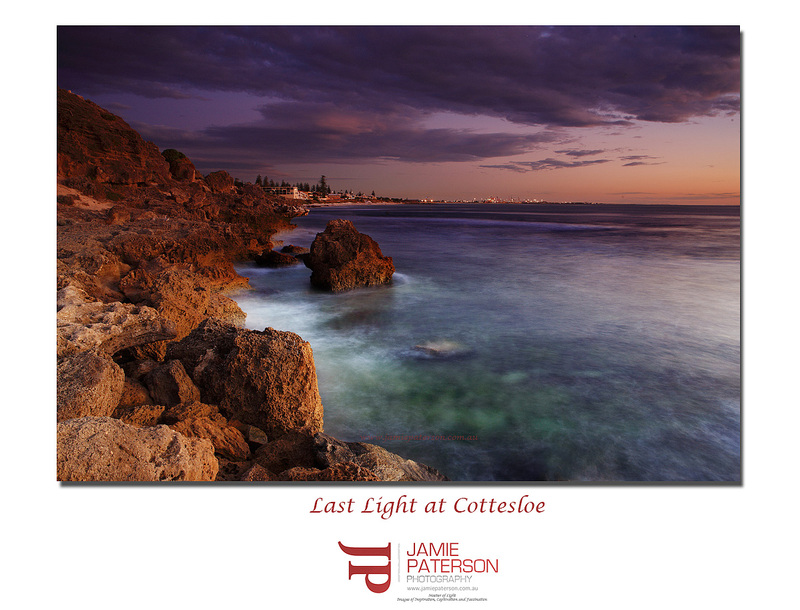 This landscape photographer certainly earnt his beer that night after that climb. 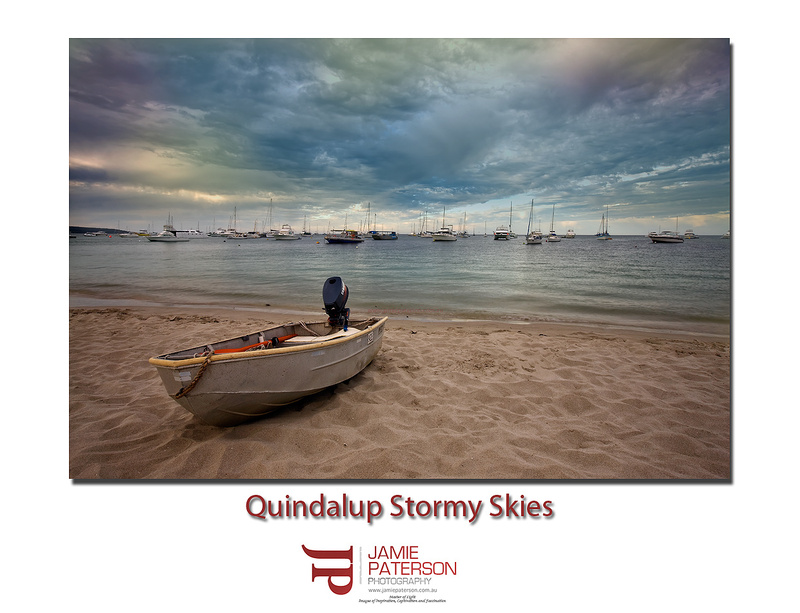 Has anyone checked out Matthew Saul’s Quindalup Jetty shot from the same weekend? Its pretty cool. Thanks for stopping by. 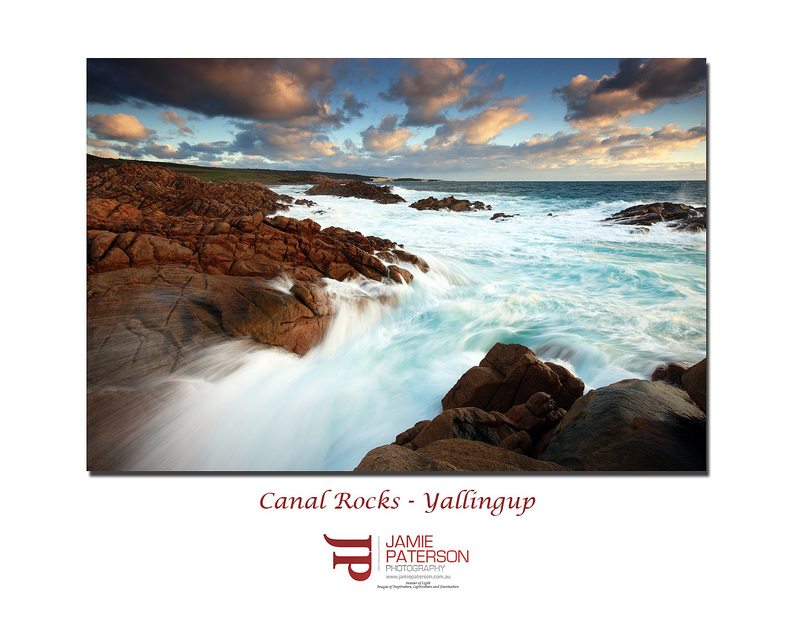 As some of you may or may not know, earlier this year I had the privilege of going down to Esperance with Neal of Spool Photography and Kirk Hille. This was from our second night out at Lucky Bay in Esperance. As there was stacks of seaweed on the beach I thought I would go in search of some water crashing against some really steep rocks. 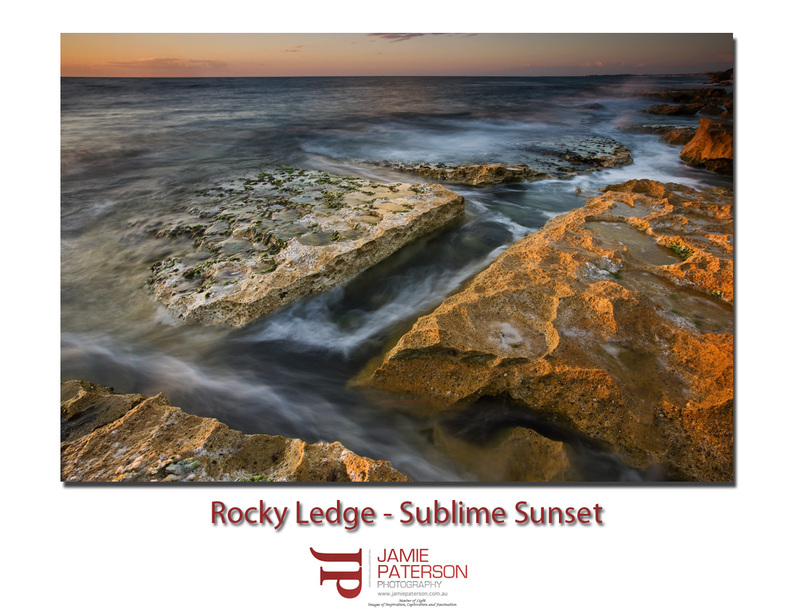 Remember as a landscape and seascape photographer we don’t always get to shoot what we want so rather than waste the sunset or sunrise we have to quickly find something else to shoot. Well I found a little trail leading off past the big rocks at Lucky Bay and I decided to follow it. It took me 25mins of walking to find some decent rocks and I managed to get a few decent shots. I then commenced the really steep walk home and once I got to the top of the hill I just had to stop for some water. It was from here that I took the shot. I was admiring the rock and just looking over Lucky Bay and relaxing when being a bit slow from all the exercise I finally realised that this would actually make a pretty cool shot. 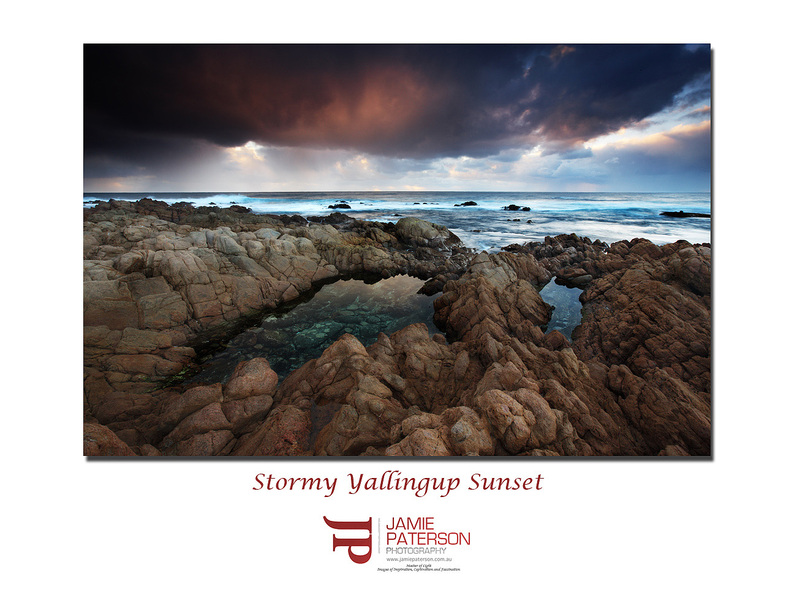 I love this shot its a typical Australian Landscape married with a great seascape shot. 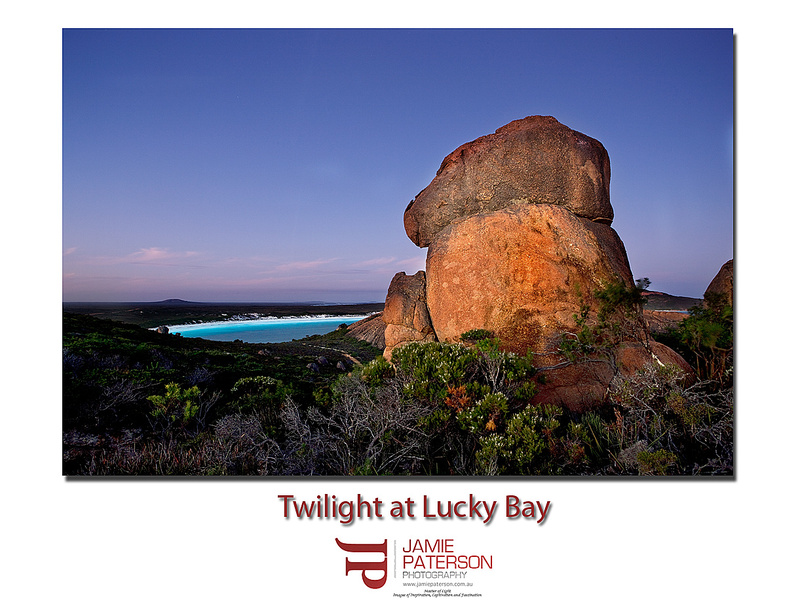 You’ve got the red rocks with green bush and the beautiful colours of Lucky Bay below. I couldn’t have asked for much more. Its amazing how some of our best shots happen when we least expect it. I’m definitely heading down there again next year probably a bit further East this time though as well as a bit more time around the town. Hopefully I can get up to Broome as well and maybe share a beer with Flemming. Does anyone else have any grand photography trips lined up for next year? Can anyone else share an accidently shot that turned out to be amazing? 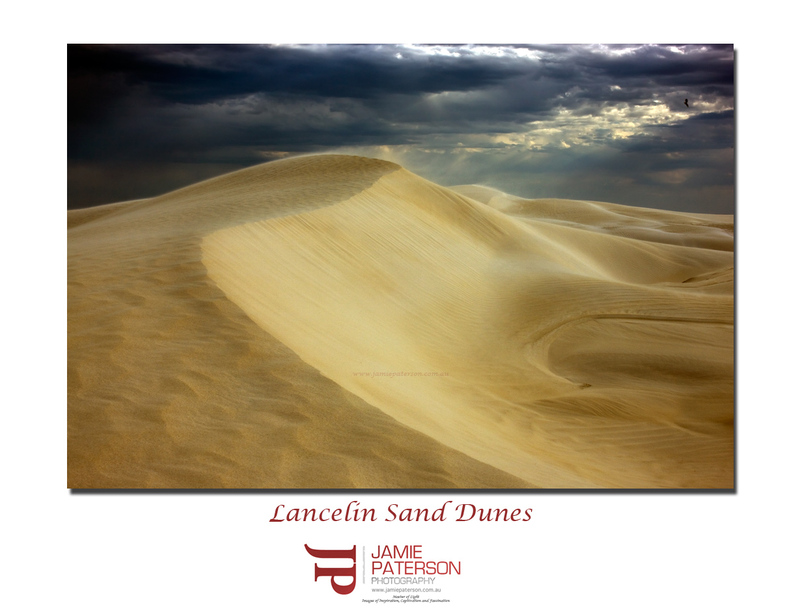 On Saturday I decided to take a drive up to the Lancelin Sand Dunes in the trusty Honda CRV. Yes it can handle the dunes! I really only got to spend 10mins up in the dunes as the wind was blowing that hard that I just got completely covered in sand. It took me two days to wash all of the sand out of my hair, fortunately I had my trusty coles shopping bag over the camera to protect it. Straight after this shot I headed down to the beach where I was able to find some cover and grab a few shots of the sunset. It was so relaxing up there I could’ve easily just pulled up a swag and slept on the beach for the night. Its not something I’ve done for ages and I really should do it again. 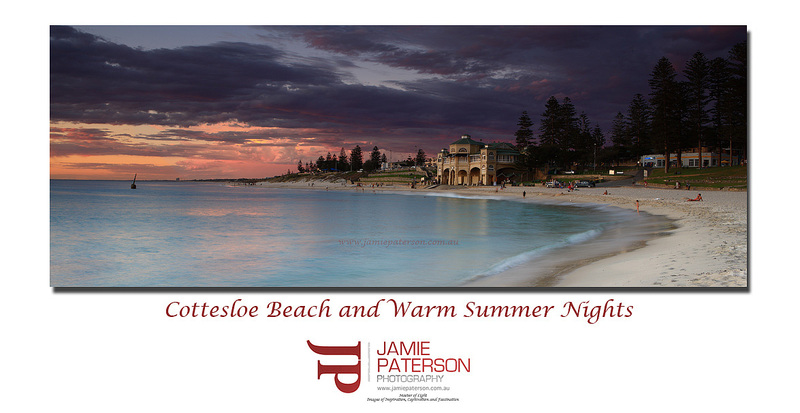 Well it looks like everyone here is writing about Summer and how much they miss it and how close it now is, so I’d thought I’d post another photo of Cottesloe Beach. This is another shot taken in summer, again it was a really warm night and after taking this shot I put my stuff into the car and then jumped into the water myself. Its so relaxing being in the water late evening or night time, one of my favourite times to dive is at night. Anyhow back to the main story, hurry up Summer and bring on some wicked sunsets. Thanks for viewing and comments are appreciated!! !